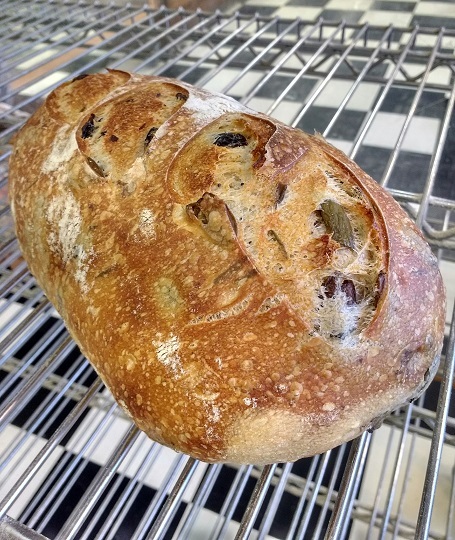 Sourdough bread with black and green Greek olives and cool, fresh rosemary! 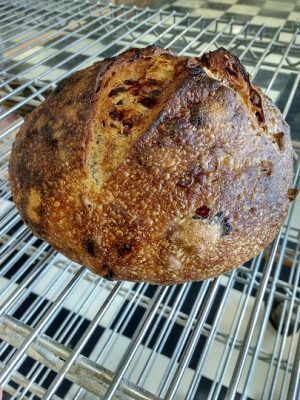 The fruity, saltiness of good olives is a natural compliment to sourdough bread. 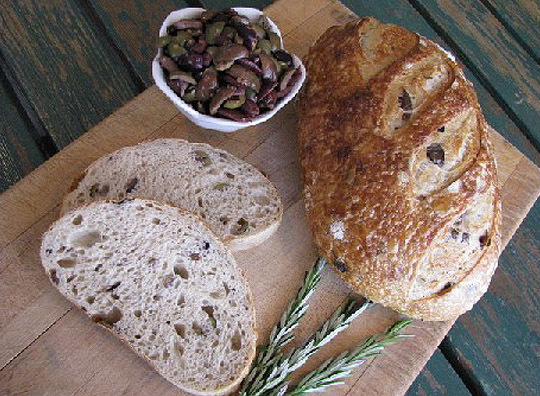 We load this bread with a mixture of black and green Greek olives and compliment them with a measure of cool, fresh rosemary. 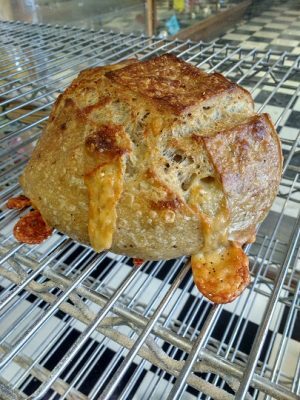 Try spreading slices with tangy goat cheese and topping off with roasted red pepper strips. Or spread with mild semi-soft triple cream cheese, Dijon mustard and shaved prosciutto. 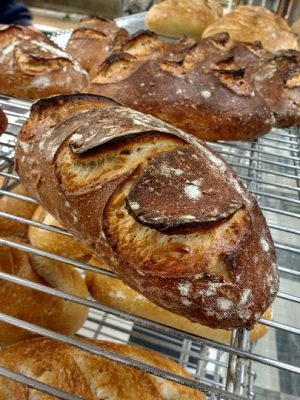 This bread brings flavor to the table.